A tour to see some of the most beautiful and interesting places in Ilhabela and take home great memories as well as a few souvenirs. A fully air-conditioned minibus ride to discover this amazing island. 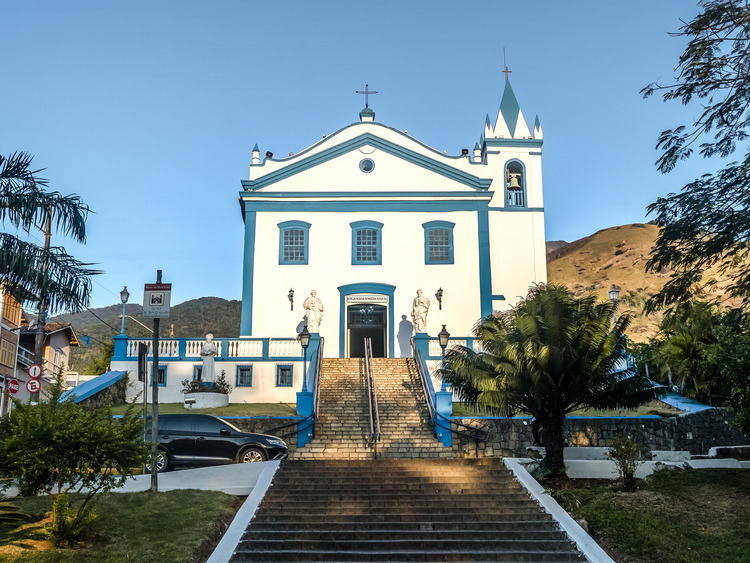 We start with a tour of the historic town centre, passing by Igreja Nossa Senhora D'Ajuda, which is said to have been built by slaves in 1532, Casa da Princesa (the Princess House) and towards to Agua Branca Waterfall. Our tour continues with a 15 minute ride to the Ilha das Cabras island, located in the southern part of Ilhabela. We then visit the Veloso Beach, and then head to the North side of the island. The next stop is Praia do Sino beach, where we admire and “listen” to the famous rocks and, last but not least, a photo stop at the Barreiro viewpoint, located on the northern part of the island and offering great views of the canal with our ship in the background. At the end of the tour, we have some time to visit the town centre and do some shopping and take home some lovely souvenirs. Ilhabela is an uncontaminated ecosystem made up of numerous waterfalls with the purest water as well as a natural habitat for local plants and animals. Depending on humidity levels, we may come across annoying mosquitoes. As such, the excursion is not recommended for guests who are allergic to insect bites. This excursion includes a Portuguese or Spanish speaking guide.